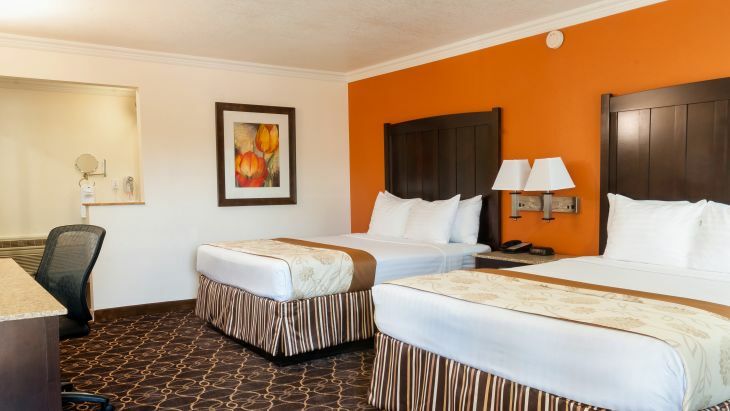 Relax after a day full of activities and exploring in this spacious Anaheim hotel room featuring two queen beds. Enjoy thoughtful amenities including a refrigerator, microwave, safe, flat panel HDTV with premium cable, and free Wi-Fi. Complimentary hot breakfast is also included with every stay.